Now that summer is finally here, most homeowners are getting into gear and making changes and improvements to their homes, and while aesthetic upgrades are usually the first things on most homeowners’ lists, it is important to make sure that you aren’t ignoring some of the more critical components of your home this summer that could benefit from a little bit of attention. The summer months can be particularly rough on your home’s roof at times, and one of the best things you can do for your home this summer is to ensure that you are giving your roof the kind of care it needs to make it through the coming summer months without issue. To help you in that effort, our team of skilled roofing professionals have taken the time to put together this short list containing several helpful tips you can follow this summer that will help to keep your roof in great shape all summer long. A professional roofing inspection is one of the most important forms of preventative maintenance you can get for your home’s roof, and as we start moving into summer more and more, it is going to become more and more important to ensure you are keeping up with them. Regular roofing inspections are great for turning up any small issues that can be easy to miss, but might present you with problems in the future if they were to go unattended. While we’re sure you have your plate full with things that need to get done around the house, adding a professional roofing inspection to your list of things you need this summer is an investment you certainly won’t regret. The peace of mind you can get from getting a clean bill of health for your roof is priceless. If your inspection turns up any signs of damage, or you have lingering issues from the previous winter or spring that you just haven’t gotten around to repairing yet, now is the time to do so. 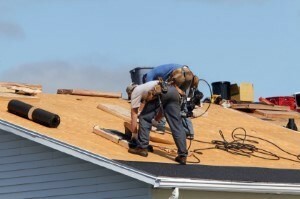 The weather during the summer months can get somewhat turbulent at times, and if your roof has already sustained damages that haven’t been repaired, damage can easily start to spread throughout your home, making repairs and much more labor-intensive and expensive process. Getting the repairs your roof needs while summer is still gearing up will help ensure that your home has a solid layer of protection against anything the elements can throw at it in the coming months. Much like anything else, the materials used in your roof’s construction all have a finite lifespan, and as they near the end of that timeframe, their effectiveness is going to start slowly declining, leaving your roof vulnerable to further damage. This summer can be a great time to take stock of the age of your roof’s materials, and if it so happens that your shingles are nearing the 15 year mark in age, now might be a good time to have a professional come out and replace them to give your roof a fresh start for the upcoming summer. Replacing your aging roofing materials as needed can go a long way in helping to keep your home adequately protected. If you are looking for a Queens roofing company then please call 718-819-7700 or complete our online request form.